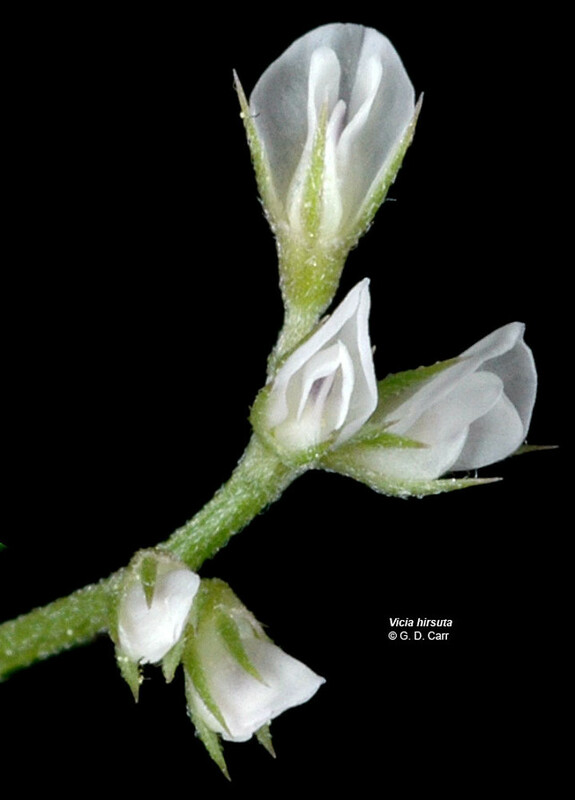 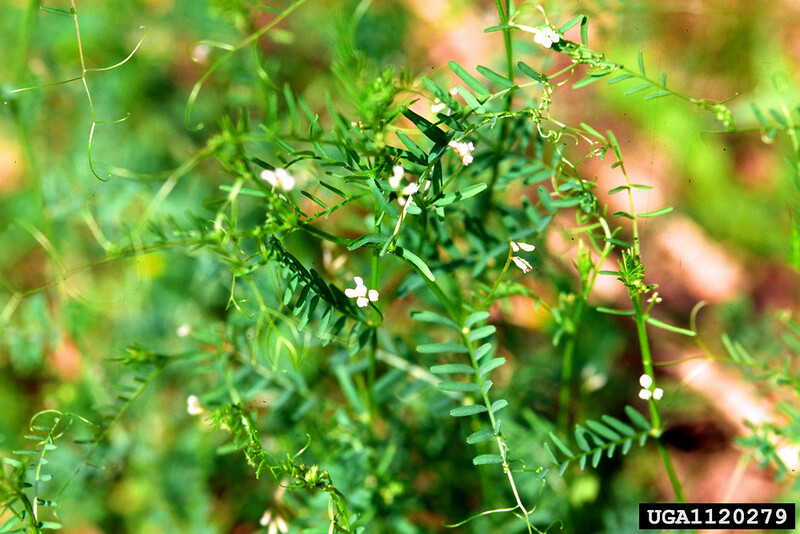 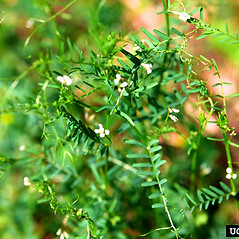 Tiny vetch is native to europe and introduced to various other parts of the world, including North America, where it has become established mainly in coastal regions and around the Great Lakes. 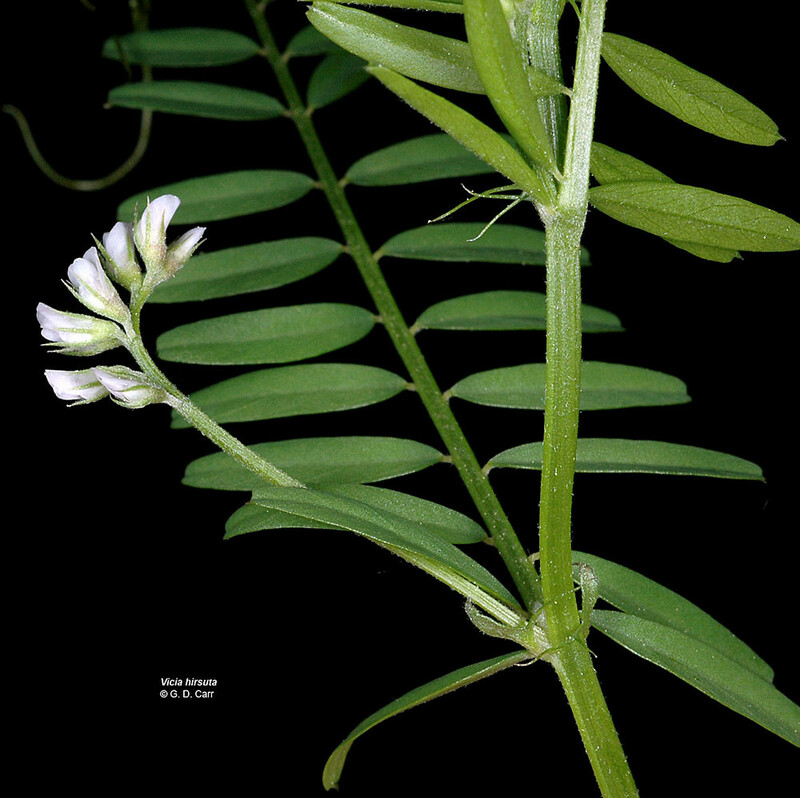 In New England it is found in disturbed habitats in all states except Vermont. 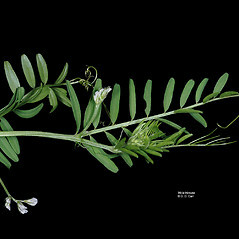 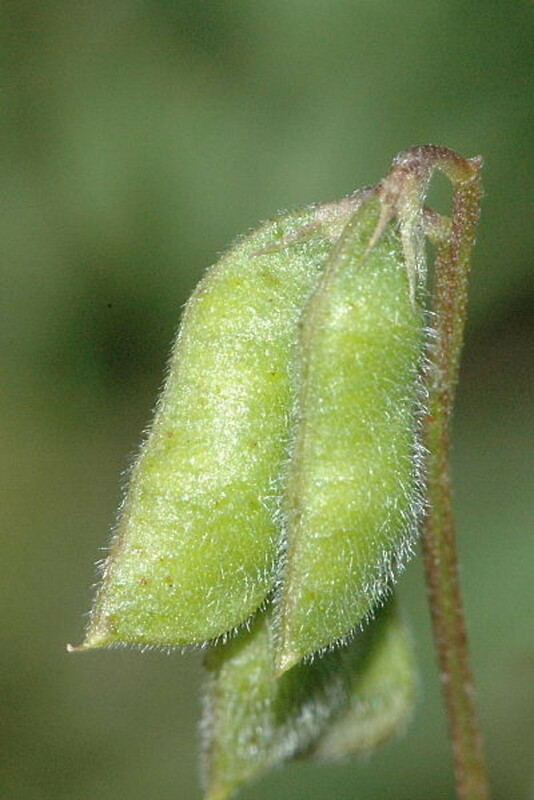 legumes glabrous, with usually 4 seeds, equally rounded from the sutures and blunt at the tip, lobes of the calyx distinctly unequal in length, and leaves with mostly 4–10 leaflets (vs. V. hirsute, with legumes hirsute, with usually 2 seeds, obliquely tapering from the sutures and pointed at the tip, lobes of the calyx +/- equal length, and leaves with mostly 10–16 leaflets). 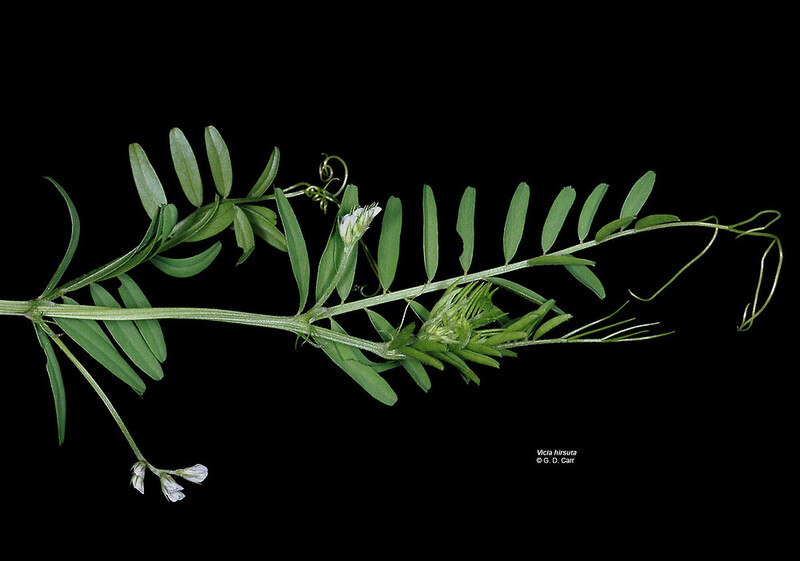 tiny vetch. 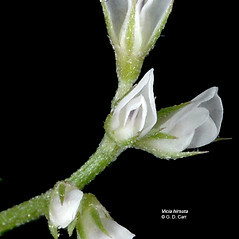 Ervum hirsutum L. • CT, MA, ME, NH, RI. 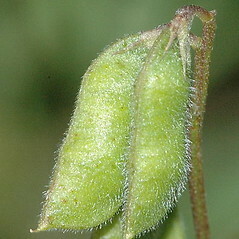 Fields, roadsides, waste areas, railroads.